“Frank, this child is dying.. we have to operate..
Rodrigo Soto, ICHF volunteer cardiothoracic surgeon from Santiago de Chile said to me on wednesday in the first week of the ICHF mission – I went to see him – and indeed he was – Alexander Parra, who had been in hospital at Arturo Grullon for 6 weeks had deteriorated to the point where he could barely sit up in bed, he required constant oxygen, his heart was failing and his lungs were filling with water – a condition called pulmonary oedema. I went to see alexander in the PICU and was presented with a child in terminal heart failure. His Aortic valve was leaking and obstructive and this caused his left ventricle to dilate, and function poorly. As a result of the heart failure Alex was breathless, his lungs were filling up with water and Alex could barely talk – as he was coughing around 10 times every minute. Unable even to lie down to rest Alex was truly in a bad way. Alex had first come to the attention of the ICHF team when a resident had asked the team Cardiologist – Nicholas Correa and Surgeon Dr Soto to review an Electrocardiogram, (EKG), on seeing the EKG both immediately said – “where is this child – this is ischemia.. ” what they saw was an electrical trace that showed that the heart muscle itself was beginning to be starved of oxygen and die – The local doctors had expected Alexander to die soon, and he was not initially on the list of patients to be reviewed. .. In discussion with the ICHF team specialists it was decided that surgery in this state may be urgent – and may be necessary – but would be of extremely high risk. The operation necessary was planned to be a Ross operation, a replacement of the Aortic valve with he patients own pulmonary valve , and a implantation of an artificial valve – this is a high risk operation in any child, but in a child with end stage heart failure the risks were far higher. It was decided that it would be better to try to improve Alex’s condition prior to surgery – if possible – to reduce the risk. Aditionally for the Ross operation a special conduit (tube) is required and this had to be donated and shipped from the US – and was not due to arrive for a few days, Alex was therefore given higher doses of medicine to remove the fluid from his lungs, and was commenced on two continuous infusions of medications to support the cardiac function. One of the medications, Milrinone, proved to be the key – this is not a cheap medicine – and it is not available in the hospital – but was brought with the ICHF team (as with each mission). Alexander the next day was coughing less, and after 2 days later – on friday – he was smiling, coloring in bed and eating again – it was decided to contnue with the Milrinone for the weekend and wait till monday or tuesday for the surgery. 6 weeks ago Alexander was admitted to Arturo Grullon with Congestive Heart Failure and deep vein thrombosis, a blood clot in the leg. He was very tired all the time. Throughout this time Alexander, when asked how he was – would reply “fine”. His mother describes how he is a “very easy boy to care about:” Alex won the hearts of all those who came into contact with him during his stay in hospital . When the staff at Artiuro Grullon (Inerns, Nurses, Residents and attending doctors) heard that the ICHF was prepared to work on Alexander their joy was a sight to behold” . Alex’s family is extremely grateful – but all the hospital feels blessed and grateful that Alex was given a hot at getting better. Alex is from Santo Domingo – but there is no facility to do this type of surgery – on children of poor families without insurance in Santo Domingo. – As with the vast majority of children operated on at Arturo Grullon – they have no social security coverage and can pay little or nothing for their surgery. 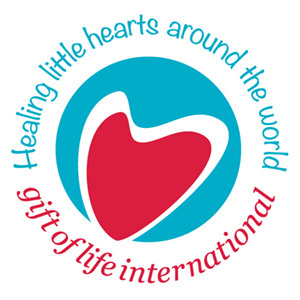 Since the start of the programme at Arturo Grullon , supported by the ICHF – 721 children from poor families have received operations or catheterizations to correct heart defects. Alex had his surgery on Tuesday 27th April, Dr Soto and Dr Heredia were able to repair Alex’s aortic valve – he did not need the higher risk Ross operation – and the operation was a complete success. Alexander 7 year old, nearly 8 years old (19th May) boy from Santo Domingo- 2 hours from Santiago. Lives with his mother, grandmother, father and a 10 year old Brother. In september 2008 Alexander had a high fever,and was taken to hospital , breathing hard and he was diagnosed with a problem with his aortic valve. Preoperatively Alex was in great distress and increasingly unable to exercise, and would tire easily – since November 2008 Alex’s activity was limited to short walks to the toilet, was not able to play with his friends, and the week before surgery Alex could barely breathe..
With tears filling her eyes Mother said..